On the surface, it would seem that two of American Jewry’s most highly regarded Jewish leaders, both deeply committed and devoted to Israel, have lost – at least temporarily – their political bearings. In a recent column titled “The Silence of American Jewish Leaders.“, I drew attention to the fact that over the past year, despite a major Jewish grassroots backlash against President Obama’s Middle East policies, American Jewry’s principal leaders appeared to have adopted a deliberate policy of assiduously avoiding public criticism of the Administration’s biased and hostile policies towards Israel. This is especially noteworthy in relation to ADL’s National Director, Abe Foxman, who two years earlier in stark contrast to most of his colleagues, had courageously publicly condemned the Obama Administration’s bullying policies against Israel. But now, in conjunction with his counterpart, the urbane American Jewish Committee’s Executive Director, David Harris, Foxman released a bizarre statement calling for a new “National Pledge for Unity on Israel”. Many of the stated objectives contained in the joint ADL-AJC statement amount to motherhood and apple pie and would be endorsed by the vast majority of American Jews of all political persuasions. 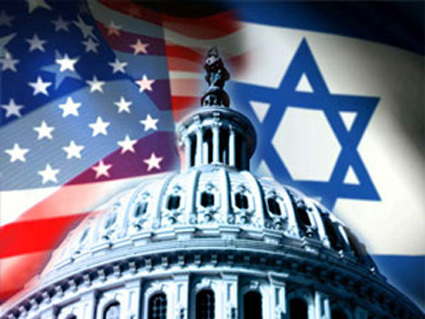 In addition to calls for unity, the emphasis was on scrupulously avoiding actions which could threaten or undermine the bipartisan approach towards Israel hitherto maintained by both major political parties – the key to the successful retention of support for Israel in Congress and amongst the American people. This is one of the principal reasons for the success of AIPAC and the esteem in which they are held by both Congressional parties. 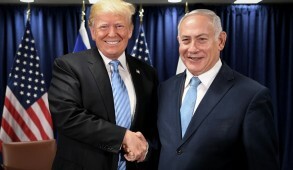 The current level of bipartisan support was most evident when Prime Minister Netanyahu’s address to the joint sessions of Congress was overwhelmingly endorsed and applauded by Democrats no less than Republicans, despite his earlier confrontation with President Obama . Yet, there are now worrying indicators of growing hostility towards Israel emanating from far-left elements within the Democratic Party. Currently they are a minority, unable to detract from the overwhelming prevailing Congressional Democratic support for Israel. But they carry immense influence inside the current White House Administration which is highly disconcerting. 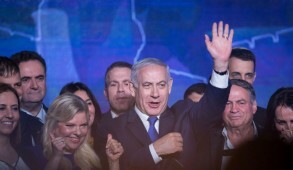 Should they garner greater support within the Democratic Party as a whole, the long-term durability of the American Israeli alliance would be in jeopardy. For this reason, leaders of broad mainstream Jewish organizations must continue ensuring that they not be perceived as favoring one party against the other unless basic Jewish interests are involved. Jewish voters are perfectly capable of making their own judgments based on the facts. In addition, praise should be extended towards positive initiative such as Obama’s recent UN address, US opposition to Palestinian statehood at the UN, membership of UNESCO and of course, crucial ongoing military support. 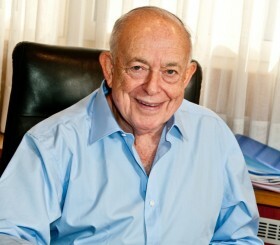 Why then, is there so much agitation over this ADL-AJC national unity pledge? Because this is a manifesto that goes to the other extreme and it gives the impression of primarily seeking to silence critics of the Obama Administration. 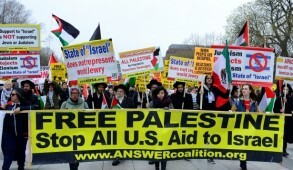 It was surely not coincidental that the statement calling on Jews to “prevent US-Israel friendship being used as a political wedge issue” in the forthcoming presidential elections emerged following the New York by-election which provided dramatic evidence of the Jewish grassroots backlash against Obama policies. It represents an attempt to muzzle public criticism of the anti-Israeli policies of President Obama and silence those who Foxman claimed, “challenged their opponent’s pro-Israel bona fides or questioned the current administration’s foreign policy approach vis-a-vis Israel”. It effectively amounts to a call for an embargo on any condemnation of policies espoused by political candidates in relation to Israel. If such an approach were adopted, it would provide a green light for President Obama to revert to appeasing the Arabs by distancing the US from Israel without facing political repercussions. Of course, in future that could apply equally to a Republican Administration which chose to abandon Israel. That would certainly ensure “bipartisanship”. But it would entail throwing out the baby with the bathwater and oblige Jewish leaders to withdraw from the political arena and bury their heads in the sand. It would amount to abandoning American Jewry’s public efforts on behalf of Israel, relying exclusively on Shtadlanut – silent diplomacy. Yet our recent history has repeatedly demonstrated that when applied in isolation in the absence of a dual track policy involving public action, silent diplomacy invariably resulted in failure. I recollect similar situations when I was a leader of the Australian Jewish community. 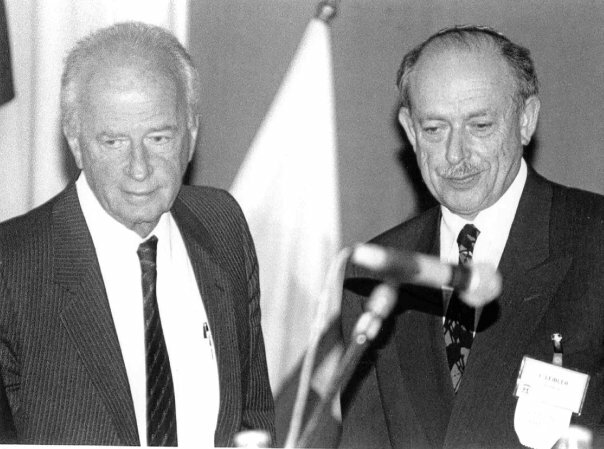 We learned that as long as in our capacity as Jewish leaders we avoided becoming embroiled in the broader political arena and restricted ourselves to commenting exclusively on Israeli or Jewish related issues, the major political parties respected us for acting in a principled manner. In fact, it strengthened bipartisanship which to this day still prevails in Australia. Surely, American Jewish leaders who have considerably more influence, should be expected to do no less. 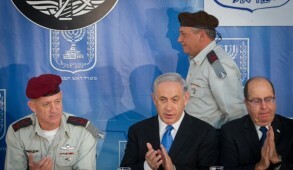 In response to a flow of criticism – largely limited to understandably angry rejections from conservative and Republican sources – Foxman has taken a step backwards, stating that the true intention of the pledge was “to post Israel ahead of politics” – a far cry from the language of the “national unity pledge”. The litmus test will now be whether American Jewish leaders will break their self-imposed curtain of silence and display the courage to speak up and be critical of policies related to Israel which they deem to be based on double standards or motivated by discredited appeasement policies. For example this week immediately following the unprovoked missile attacks from Gaza – clear breaches of international law – the US State Department again reverted to pathetic moral equivalency “urging all parties to stop the violence and engage in negotiations”. Is that an appropriate response by the US to an ally defending itself from missile launches against its civilians? Do we deserve to be treated on the same level as the Islamic Jihadist murderers? Yet the major Jewish organizations greeted this outrageous statement with deafening silence. This will become especially relevant over the coming months when Israel will be subjected to highly sensitive diplomatic pressures which may have long-term repercussions. There is no doubt that a positive US role will be crucial to inhibit the Quartet from making further unrealistic and dangerous demands of us. There are grounds for concern that notwithstanding his splendid UN General Assembly address, President Obama could once again revert to his former policies. To avoid further fallout from Jewish voters prior to the elections, President Obama may simply give the Quartet the green light to implement these policies whilst he stands on the sidelines. Should that be the case, hopefully American Jewish leaders will not remain silent but will call on their President to intervene and prevent the Quartet from abandoning Israel. American Jewish leaders should revert to publicly and judiciously expressing praise or condemnation of Administration initiatives taken in relation to Israel. By so doing, far from undermining bipartisanship, they will be strengthening it and providing Israel with the moral support it is entitled to receive from the world’s premier democracy and its most important ally.